How to change fonts in Android cell phone? Android cell phone like all other smartphones have their own default fonts for you to use which are useful and comfortable to use. But like many social gamers while chatting with their Facebook friends want special fonts to send their message across like some fancy fonts or some other language type of fonts then here is how to change fonts in Android cell phone. 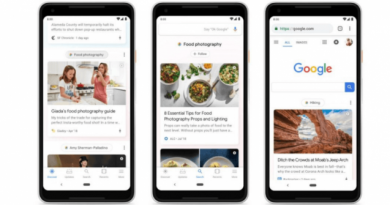 Changing fonts on Android smartphone is super to do as almost all Android OS is extremely customizable and allows you to change the fonts on its user interface. Though its is easy to change fonts to some extent but also require some technical knowledge in some cases specially where you need to root your device. The methods use to change fonts in Android as explained by Android experts is with two ways: One is without rooting your device and one that requires to root your Android. 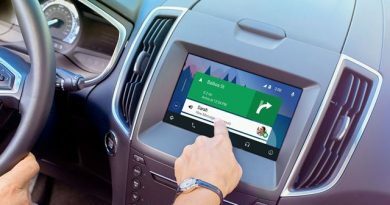 While stock Android lacks the ability to customize your system font, plenty of manufacturers have adapted their software to support this highly requested feature, allowing you to easily change fonts for Android. These include top brand phones like Samsung, HTC, and LG. The process may change depending on your specific handset, but you can always find this option in the settings. It’s usually under the Display section and from there you can change the actual font, as well as the font size. For instance, some Samsung Android devices let you change the font style. Samsung has pre-installed a few extra fonts besides the default, but you can get more online through the Google Play Store. Putting on a new font requires only a quick visit to Settings — Display — Font Style. Just tap the name of the font that you want, and confirm that you want to set it as system font. Font replacement is instantaneous. No need for rebooting. The selected font will be displayed throughout your device’s interface such as the time on the status bar, system menus, and even on your text messages. 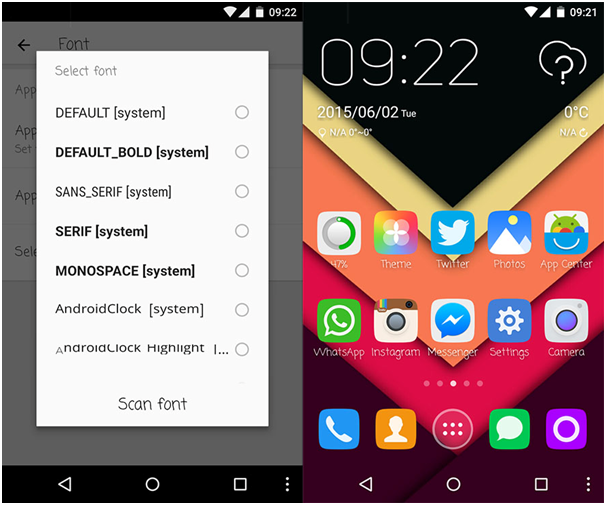 The other non-root way to change fonts for Android is through custom launcher apps. Some custom launchers integrate the font-changing function, while most others will need you to install themes. Here we take the popular custom launcher known as Go Launcher. Copy your TTF font files to the phone. Find the Tools app and open it. Tap on the Preferences icon. Scroll down to Personalization and select it. Another is iFont app and can also be used for changing fonts for Android. It used to be a bit limited and only worked on Samsung devices. This is still partly the case, but the developer now also supports Xiaomi Meizu, Huawei, HTC, Sony, and Motorola rooted handsets. Enable installation of apps from “Unknown Sources.” This option can usually be found in Settings — Security. Launch iFont. Go to the Online tab. Tap the Set button. Or go to Settings — Display — Font Style. Your newly installed font should appear on the list. Font is applied immediately. No reboot needed. You can also copy TrueType fonts (TTF) from your PC to the /sdcard/ifont/custom directory; the said fonts will appear on the Custom tab. But, to be able to install and use the fonts, you will need a rooted device. iFont is free and shows no ads. It works quite well on the several devices. If you have root privileges on your phone or tablet, you will be able to alter system files and, in the course of doing so, you could render your device useless. So you need to use it carefully as we only here provide information for educational purpose. There is no guarantee that these instructions will work under your specific and unique circumstances. Thus use these instructions at your own risk. We shall not hold any responsibility or liability for whatever happens to you or your device arising from your use of the info provided here. An easy way to change fonts for Android rooted devices is to use font changer apps that support rooted devices. There are several such apps on the Google Play Store. Most of them also offer a preview function that lets you see how a font looks. The popular two font changer apps that are worth checking out are Font Installer and iFont. 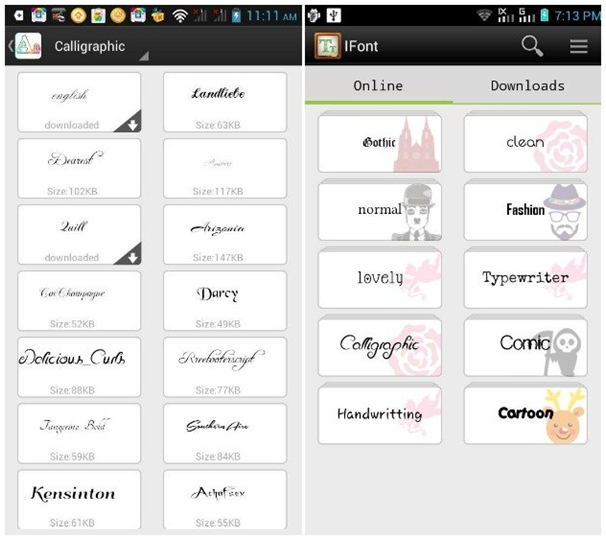 For rooted phones, Font Installer is a great free app for changing fonts for Android. It has a built-in font preview feature, so while scrolling up and down the list of built-in fonts, you know exactly how they look once activated on the device. Note that this is an ad-supported app where Ads appear at the bottom. You can remove the ads by purchasing a license. Copy to your device the TTF font file that you want to use, preferably into the /sdcard directory. Before tampering with your system fonts, backup your existing default fonts first. Tap on the Menu (three dots) button and select Backup/Restore. Select Backup. If Superuser or SuperSU asks for permission, grant it. Tap on the Local tab to open the directory explorer. Locate your TTF file. If Superuser or SuperSU asks for permission, grant it. Font Installer will prompt you to reboot your device. Tap on Yes. Open the Server tab in the Font Installer app to see the catalog of fonts. Tap on the name of a font that you like. From the popup dialog, tap on Preview if you want to see sample text rendered in the chosen font; or, tap on Install if you want to download the font and set it as your system font. If a backup warning/notice appears, make sure you let the app backup your font files. This shouldn’t take a long time. Allow the app to reboot your device. Unlike Font Installer, the iFont app can work on most Samsung and some other)devices even if they are not rooted. But, to be able to expand your horizons using other handsets you will need root access. Tap on the font you want to install. If you get a prompt about setting the mode to System Mode, just tap the OK button. Your device will reboot to apply the new font. On the iFont main screen, tap on the Menu button the three-dots at upper-right corner. Tap on Settings — Change Font Mode. If you’re using a rooted non-Samsung device, choose System Mode. 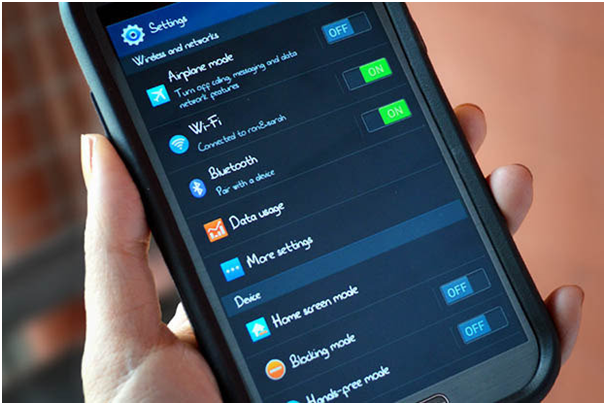 If using a rooted Samsung device, choose Samsung Mode. Go to the Custom tab in the iFont app. Tap on the font that you’d like to use. If prompted to change the font, tap OK. Your device will either apply the new font immediately or reboot to apply the new font. The expert advice is to always first try the non rooted way to change your fonts on Android. Also if you are aware of technical know how then opt for rooting your device to change fonts on your Android cell phone. 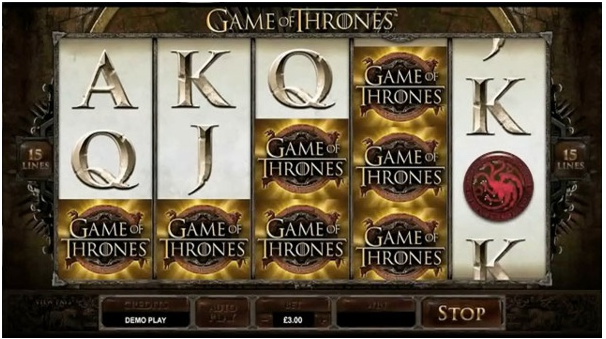 Can free casino slot games come with bonus rounds? 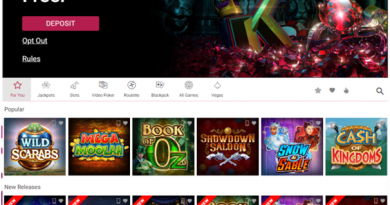 February 28, 2018 Kamal Kaur Comments Off on Can free casino slot games come with bonus rounds?